Participants in a recent comment stream on Realty Income (O) debated the stock’s valuation and whether it is a good buy at its current price. I decided to apply my 4-step valuation process to O. My 4-step process is described in Dividend Growth Investing Lesson 11: Valuation. Step 1: FASTGraphs Default. 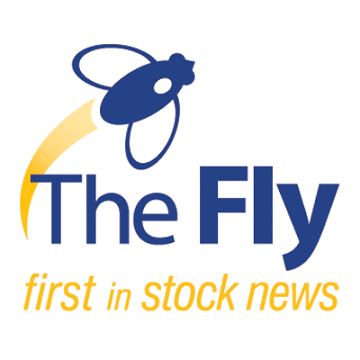 The first step is to compare the stock’s current price to FASTGraphs’ default estimate of its fair value. The default estimate is based on a price-to-FFO ratio of 15, shown by the orange line on the graph. When valuing a REIT, it is generally agreed that FFO (funds from operations) is a better metric than earnings. [ad#Google Adsense 336×280-IA]So the orange line shows fair value as FFO x 15, as indicated by the “F” marking each data point. 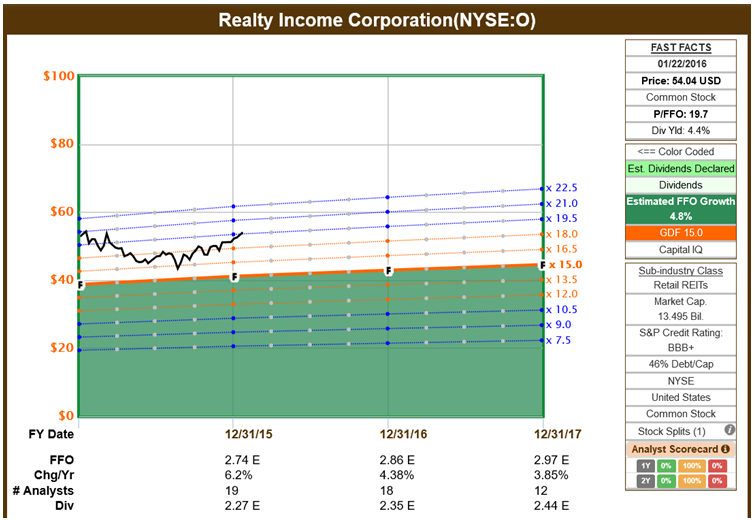 As you can see, Realty Income’s price is well above fair value by this way of reckoning. The gap is 31%. That implies a fair value of about $41 for Realty Income. Step 2: FASTGraphs Normalized. The second valuation step is to compare O’s price to its long-term average P/FFO ratio. 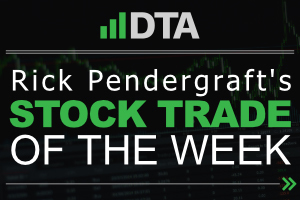 Some stocks are “perpetually” overvalued or undervalued by the wisdom of crowds effect in the market. This second step adjusts for that. I used O’s 10-year P/FFO average, since this takes the 2007-08 real estate meltdown into account. O’s average during that time has been 16.3, shown by the blue line on the following graph. This improves the picture somewhat, but O is still overvalued. 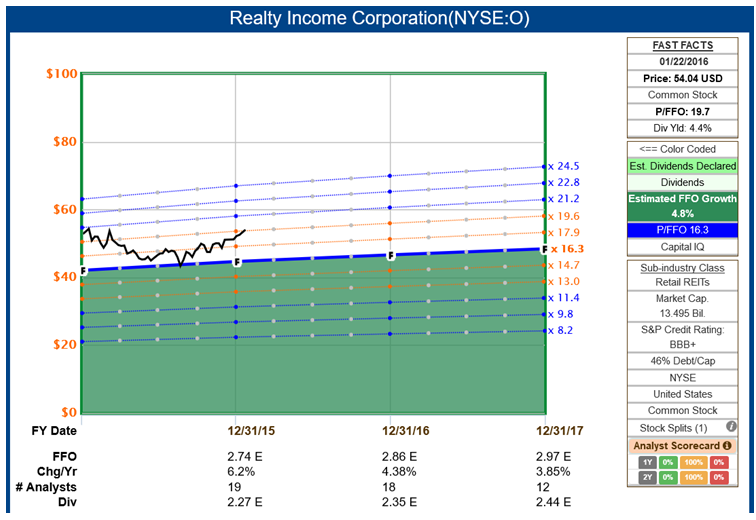 By this method, Realty Income is 21% over its fair price, which computes to about $45. Step 3: Morningstar Star Rating. 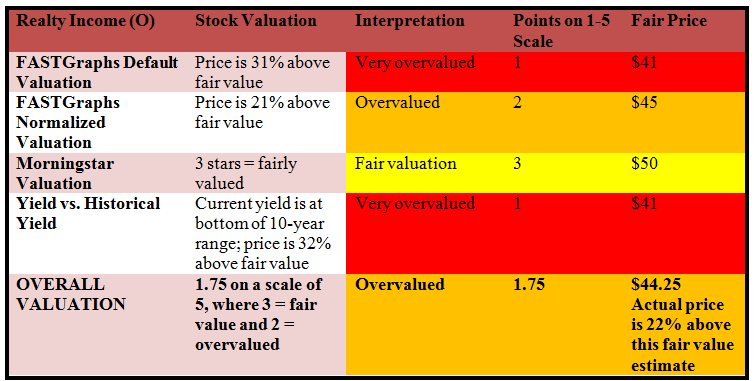 Morningstar uses a comprehensive net present value (NPV) technique for valuation. Many investors consider this approach to be superior to using P/E or P/FFO ratios as we just did with FASTGraphs. In its NPV approach, Morningstar makes a projection of all the company’s future profits. 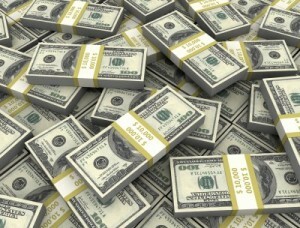 The sum of all those profits is discounted back to the present to reflect the time value of money. 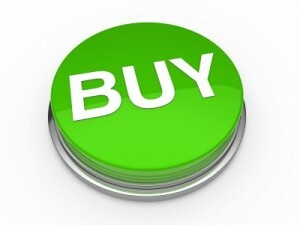 The resulting net present value of all future earnings is considered to be the fair price for the stock today. Morningstar believes that Realty Income is fairly valued (3 stars on a 5-star system). Their fair value price is $50. Step 4: Current Yield vs. Historical Yield. Finally, we compare the stock’s current yield to its historical yield. It is better to be near the top of that range than the bottom. 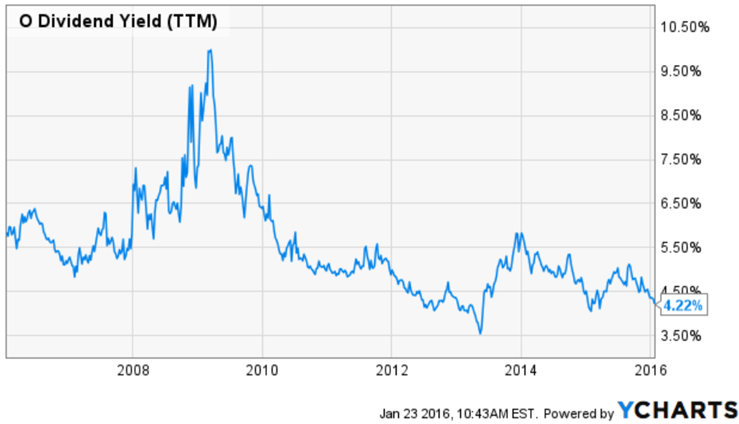 Realty Income’s current yield is practically at the bottom of its 10-year range. Using this measure, I would say that the stock is very overvalued. It looks to me from an eyeball test that a fair yield for O would be about 5.5%-5.7%. That would imply a fair price of about $41 per share. Notice that if you just used the past 5 years of data, the average yield would be about 4.5%, and you would copute a higher value for O’s fair price. My conclusion is that Realty Income is overvalued at the present time at its current price of around $54. I would not buy it here for that reason. I would be looking for a price close to $48 or better. Unfortunately for potential buyers, as seen in the graphs above, O’s price over the past few months has not been moving down toward fair value. 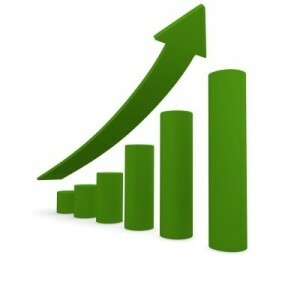 Instead it has been moving up and away from fair value.